The illustrated universe of the world’s most fascinating filmmaker. A tribute that celebrates the overflowing creativity of one of the most original filmmakers of recent decades. 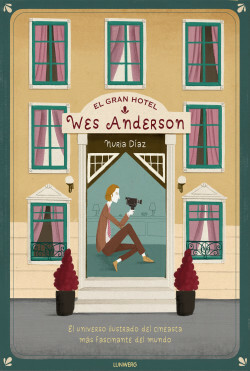 Through the unmistakable illustrations of Nuria Díaz, we view the life of Wes Anderson, as well as the themes, characters and settings that make up the visual universe of a cult filmmaker. The first illustrated tribute book dedicated to one of the world’s most celebrated cult filmmakers. Wes Anderson has a huge reputation among his many followers and in the film world: he has received several nominations for the Oscars and Golden Globes and none other than Martin Scorsese has declared himself a fan. The genre of illustrated biography is experiencing an unprecedented boom, attracting many readers.